Pinkerton’s report of the event was somewhat more violent: “I hit the gentleman a punch with my elbow as he was close to me, staggering him back, but he recovered himself, and again took hold of Mr. Lincoln remarking that he knew him. I was beginning to think that we were discovered, and we might have to fight, and drew back clenching my fist, and raising it to take the gentleman a blow, when Mr. Lincoln took hold of my arm saying ‘Don’t strike him Allan, don’t strike him – that is my friend Washburne – don’t you know him?”2 Pinkerton later apologized to Congressman Washburne. There is a great deal said in the newspapers and a great deal said outside the newspapers about an attempt to seize this city, and a great many people are very much alarmed. I do not suppose you will be alarmed by all the talk. I think I am in a position to know as much as anybody about this whole matter. I am in consultation with Genl. Scott and with Col. Stone, who is organizing the militia of the district. Our friends from N.Y. three of the best and most skilful men ever in that service are still here, and I am posted every day in regard to their information. I am satisfied there does not NOW exist any organization to amount to anything, anywhere, the object of which is either to prevent your inauguration. I say now — what may take place I will not say, but I do not believe any attempt at all will be made at any time. I have just left Scott — he is very vigilant and active and will make every preparation he can to meet any emergency. I am sorry to say, however, old Buck is hanging back, though the Secretary of War is up to ‘high water mark’ (to use Scott’s own language) at the time. Scott has this day sent a paper to the President saying unless he is permitted to bring more troops here, he will not hold himself responsible for the peace of the District. I presume the President will now permit the troops to be brought here. The N.Y. friends are entirely certain there is no nucleus of a conspiracy in this city. The Mayor, although suspected of being a secessionist, was up before the special committee to-day and swore there was nothing of the kind going on. When in Scott’s room, Genl. Dix the next Sec’y of the Treasury came in to consult about certain matters. He is clear up to the handle for the enforcement of the laws and the protection of the public property. The old General was hugely pleased at his firmness and the high ground he took. The only trouble now in the cabinet is Yancey, who is believed to sympathize with the traitors. 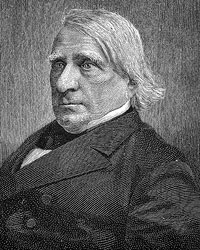 “A reliable republican, but an old line whig lawyer, in this city told me to-day that he himself had seen a letter from one of our republican congressmen, advising us all to go for the re-election of Judge Douglass. He said he was injoined to keep the author a secret & he was going to do so. From him I learnt that he was not an old line democrat, or abolitionist. This narrows the contest down to the congressmen from the Galena and Fulton Dists. The above is a litteral copy of all the letter contained on that subject. The morning of the conventions Mr. Herndon showed me your letter of the 15th. to him, which convinced me that the story in the letter from Chicago was based upon some mistake, misconstruction of language, or the like. Several of our friends were down from Chicago, and they had something of the same story amongst them, some half suspecting that you were inclined to favor Douglas, and others thinking there was an effort to wrong you. I thought neither was exactly the case; that the whole had originated in some misconstruction, coupled with a high degree of sensitiveness on the point, and that the whole matter was not worth another moment’s consideration. On April 8, shortly before the surrender of Robert E. Lee at Appomattox, Congressman Washburne spent an evening with President Lincoln after he had returned from visiting liberated Richmond. “In the evening Mr. Blaine and myself went on board the steam to pay our respect to the President. I never passed a more delightful evening. Mr. Lincoln was in perfect health and exuberant spirits. His relation of his experiences and of all he saw at Richmond had all of that quaintness and originality for which he was distinguished.”27 Shortly before President Lincoln returned to Washington, he used Washburne as a postman to take a letter to his son Robert at the Union front. Allen Thorndike Rice, editor, Reminiscences of Abraham Lincoln, p. 38. Douglas L. Wilson and Rodney O. Davis, editor, Herndon’s Informants, p. 286 (Report of Allan Pinkerton, February 23, 1861). Allen Thorndike Rice, editor, Reminiscences of Abraham Lincoln, p. 40 (Lincoln qote is from Lossing’s Pictorial History of the Rebellion, Volume I, p. 279). Ward Hill Lamon, Recollections of Abraham Lincoln, p. 46. Allen Thorndike Rice, editor, Reminiscences of Abraham Lincoln, p. 40 (Elihu B. Washburne). Allen Thorndike Rice, editor, Reminiscences of Abraham Lincoln, p. 37-38. 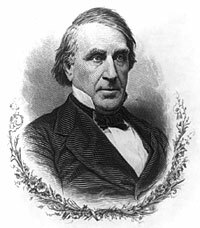 Roy P. Basler, editor, The Collected Works of Abraham Lincoln, Volume III, (Letter to Elihu B. Washburne, May 26, 1860). Helen Nicolay, Lincoln’s Secretary, p. 55-56. David C. Mearns, editor, The Lincoln Papers, p. 379 (Letter of Elihu B. Washburne to Mr. Lincoln, January 4, 1861). David C. Mearns, editor, The Lincoln Papers, p. 427-428 (Letter of Elihu B. Washburne to Mr. Lincoln, January 30, 1861). David C. Mearns, editor, The Lincoln Papers, p. 390 (Letter from Elihu B. Washburne to Mr. Lincoln, January 7, 1861). David C. Mearns, editor, The Lincoln Papers, p. 441 (Letter from Elihu B. Washburne, February 19, 1861). P. J. Staudenraus, editor, Mr. Lincoln’s Washington: The Civil War Dispatches of Noah Brooks, p. 307-308. 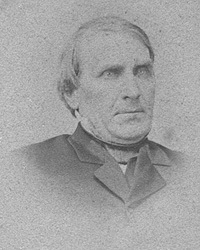 Michael Burlingame, editor, Noah Brooks, Lincoln Observed: The Civil War Dispatches of Noah Brooks, p. 121 (July 5,1864). Carl Sandburg, Abraham Lincoln: The War Years, Volume II, p. 501. 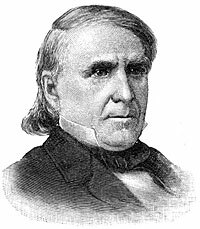 Gaillard Hunt, Israel, Elihu and Cadwallader Washburn, p. 230. 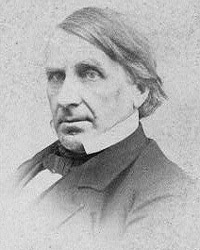 Michael Burlingame, editor, Noah Brooks, Lincoln Observed: The Civil War Dispatches of Noah Brooks, p. 103 (March 9,1864). Carl Sandburg, Abraham Lincoln: The War Years, Volume II, p. 539 (Letter of John A. Rawlins to James Harison Wilson). Ward Hill Lamon, Recollections of Abraham Lincoln, p. 187-189. Allen Thorndike Rice, editor, Reminiscences of Abraham Lincoln, p. 17-18 (Elihu B. Washburne). Allen Thorndike Rice, editor, Reminiscences of Abraham Lincoln, p. 22. Roy P. Basler, editor, The Collected Works of Abraham Lincoln, Volume II, p. 306 (Letter to Elihu B. Washburne, February 9, 1855). Roy P. Basler, editor, The Collected Works of Abraham Lincoln, Volume II, p. 443-444 (Letter to Elihu Washburne. April 26, 1858). Allen Thorndike Rice, editor, Reminiscences of Abraham Lincoln, p. 26 (Elihu B. Washburne). Roy P. Basler, editor, The Collected Works of Abraham Lincoln, Volume VI, p. 540 (Letter to Elihu Washburne, October 26, 1863). Allen Thorndike Rice, editor, Reminiscences of Abraham Lincoln, p. 43-44 (Elihu B. Washburne). Brooks D. Simpson, Ulysses S. Grant: Triumph Over Adversity, 1822-1865, p. 307-308. Justin G. Turner and Linda Levitt Turner, editor, Mary Todd Lincoln: Her Life and Letters, p. 288 (Letter from Mary Todd Lincoln to Elihu B. Washburne, November 29, 1865).